If you have high blood pressure you actually go to an annual physical then probably know about it because doctors are very quick to point it out to you and to prescribe blood pressure lowering medications. Some doctor’s are sometimes less quick to point out lifestyle and dietary habits that you could implement that could effectively lower your blood pressure naturally. It’s not our place a comedic, holistically minded health fanatics to say whether or not you should take a blood pressure lower medication. That is a discussion that is totally and completely meant to be had between you and your licensed healthcare professional. We’re not anti-medications; for sometimes those meds are very much necessary and can quite frankly be life saving. We are, however, anti-short sightedness and pro holistic. What holistic really means is to understand an issue like high blood pressure in context of the body as a whole. There are many good doctors out there that will advise dietary changes and recommend exercise as a means to correct hypertension, but I know there are also a lot of doctors out there that are convinced that if you have high blood pressure then you’re going to have to take blood pressure lowering medication for the rest of your life. From what we’ve seen, that’s simply just not true at all in most cases. We see cases of even extreme, chronic hypertension be corrected in a matter of days with the right changes in diet, hydration and exercise. 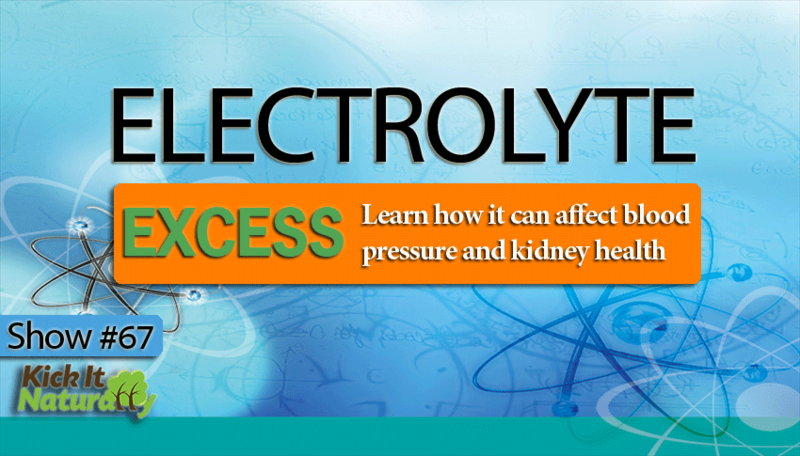 Listen in to this episode as Tony, Will and Kinna discuss the common factors at play that can lead to high blood pressure and excessive electrolyte retention. We’ll get into how to detect it and correct it naturally through highly effective lifestyle and dietary modifications. How digestive issues can contribute to hypertension. About the connection between carbohydrate metabolism, triglycerides and hypertension. That cholesterol rich foods like egg yolks and butter are actually not to blame when it comes to hypertension. How the kind and amount of water you consume can really help or hurt your blood pressure levels. How to assess your body chemistry, detect imbalances and correct them, especially as they relate to high blood pressure and high blood sugar. Ray Peat Article: When energy fails: Edema, heart failure, hypertension, sarcopenia, etc.